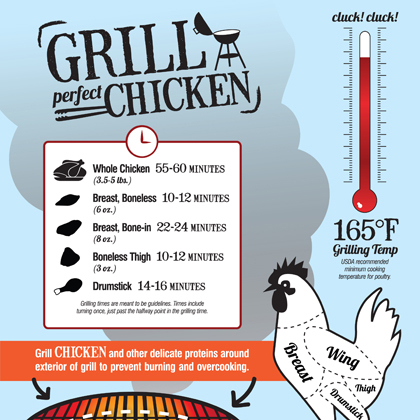 Grilling your way to greatness begins with knowing the basics. Here is everything you need to know–from choosing wood chips to ending with a juicy piece of meat. 1. Go all out. Buy the best meat you can afford. Even the richest sauces can't save a poor-quality piece of meat. For budget-friendly cuts, see Budget-Friendly Grilling Recipes. 2. Be organized. Have food, marinade, sauces, and equipment grillside and ready to go before you start cooking. 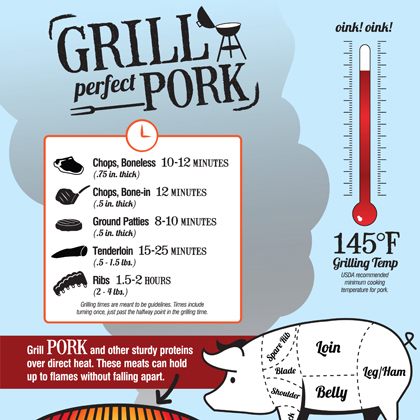 Allow meats to stand at room temperature 20 to 30 minutes before grilling. 3. Try woodworking. Both hickory and mesquite wood give the strongest flavor and are widely available. Don't be afraid to try others types of wood, including alder, apple, cherry, maple, and oak. 4. Gauge your fuel. Make sure you have enough gas or charcoal before you start. 5. Go for flavor. Avoid using lighter fluid because it can result in a bitter flavor. For the best taste, start the fire using a chimney starter or paraffin lighter cubes, and allow your charcoal to cook down and turn ashen before grilling your food. 6. Ban the burn. Flare-ups lead to burned food, so trim any excess fat and skin from meats to prevent the drips that can cause flare-ups. 7. Turn, don't stab. Use tongs or a spatula to turn meat; don't use a carving fork. 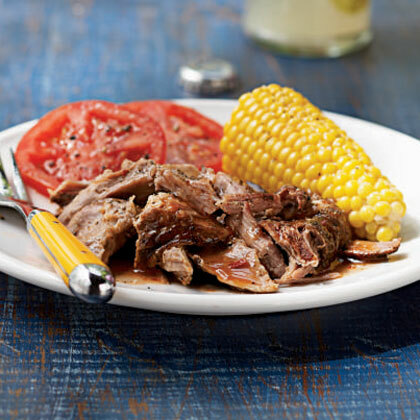 This way, the meat's flavorful juices won't seep out early. 8. Keep it covered. Keep the grill covered, and resist the temptation to peek. Each time you lift the lid, you lose built-up heat that can alter your cook time. 9. Never desert your post. Even though grilling is easy, it requires vigilance to prevent flare-ups and other potential problems. 10. Give it a rest. Meats are juicier and taste better if given the chance to rest for a few minutes after being removed from the flame. Do You Actually *Need* to Soak Wooden Skewers Before Cooking with Them?